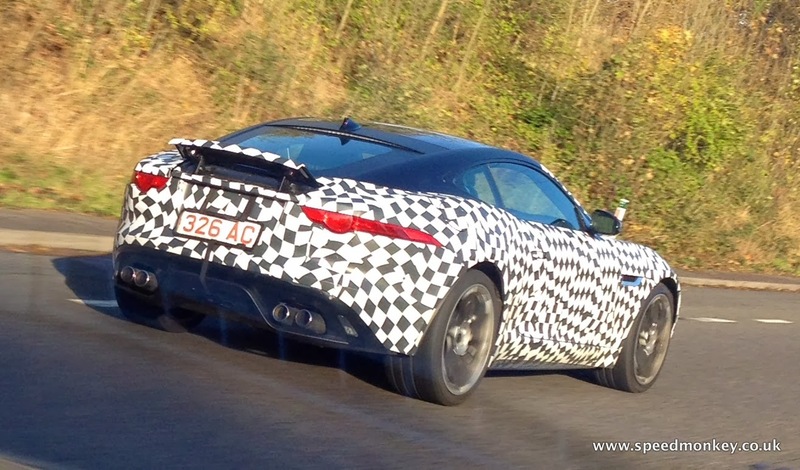 Here's another spy shot of the Jaguar F-Type Coupe but this time the car is moving and the spoiler is up. 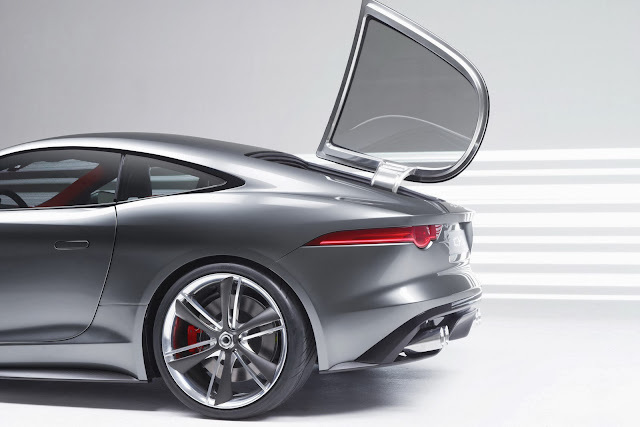 We can see that the spoiler is integrated into the hatchback which means the hatch will open up rather than sideways as in the C-X16 concept below. The lines of the rear opening are apparent in the recent official photo. This spy shot also shows the integrated brake light of the F-Type Coupe in better detail. Thanks to David Narburgh for the photo of the car which he spotted near Warwick.